Now that my kiddos are no longer babies I’m starting to get excited about Christmas traditions. Like new PJs to wear on Christmas Eve, and unwrapping a Christmas themed book to read at bedtime all through December. But do you know which tradition I’m not going to be introducing to my family? I know, he’s loved by many children all over the world but to be perfectly honest I just don’t get it. For starters he’s really creepy looking. And then there’s the bit about kiddos not being able to touch him (it rubs the magic off apparently). Right now my kids are not going to be impressed with a toy they can’t play with! And then there’s this premise that he’s been sent on a secret mission from Santa to make sure the kids are well behaved so they can get their Christmas presents. But he’s naughty. If that’s not a conflicting message I don’t know what is. And finally, setting up all these amazing mischievous acts takes so much effort. I mean, have you seen all of the photos on Flickr and Instagram of this creepy little elf toilet papering the Christmas tree and making footprints in flour across the kitchen floor? Who has time for all of that nonsense?? The one thing about the Elf that I do like is the idea of doing something every day between Thanksgiving and Christmas, sort of like an interactive advent calendar. So I thought of something else instead, an Elf on the Shelf alternative if you will. Have you ever heard of a random act of kindness or RAOK if you’re into text speak? It’s a little something you do for someone else, a friend or family member, or even a complete stranger, to put a little bit of happiness in their day. Over the years I’ve done a few impromptu acts myself. Like handing on Disney Fastpasses to people entering the parks as we were leaving, or giving a waitress a 100% tip because she remembered our complicated order from when we’d eaten at the same restaurant the week before. Sometimes it’s the little things that make a big difference right? So I was thinking. If we wanted a family tradition for the Holiday Season that meant we did something every day, why not make it count? 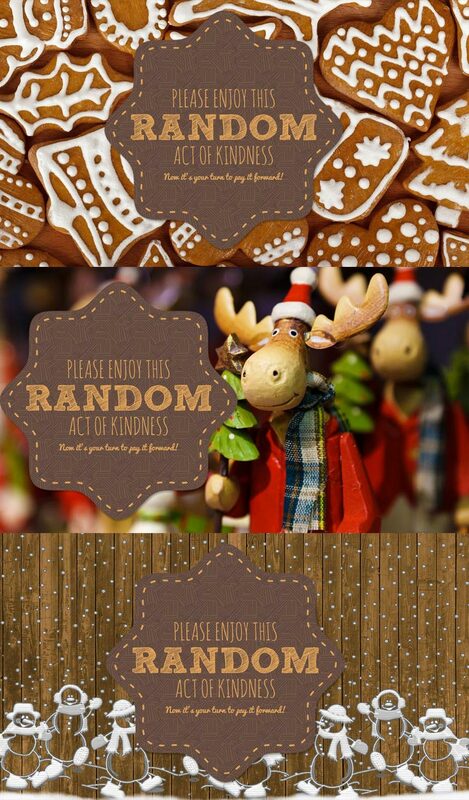 Instead of having a creepy elf wreak havoc in my house why not sprinkle a little Goodwill around our neighbourhood. And why not bring some little friends into the house each year that the kiddos can actually play with. Which is why instead of the Elf on the Shelf we’ll be welcoming the Kindness Kiddos. A boy and a girl sent to spend December with our family, with the intention of helping us sprinkle a little Goodwill with daily random acts of kindness. If you think this would be a great tradition to introduce to your own family then keep reading for the details. Each year on Thanksgiving the Kindness Kiddos arrive on the doorstep of some very special children. They can only stay until Christmas but between now and then they’re gong to have fun every day, sprinkling goodwill around the neighbourhood. Every morning when the children awake the Kindness Kiddos will be there to share the special task for the day. It could be to bake brownies to take to the local fire station to thank the firemen for the work they do. Or to rake the leaves for an elderly neighbour. 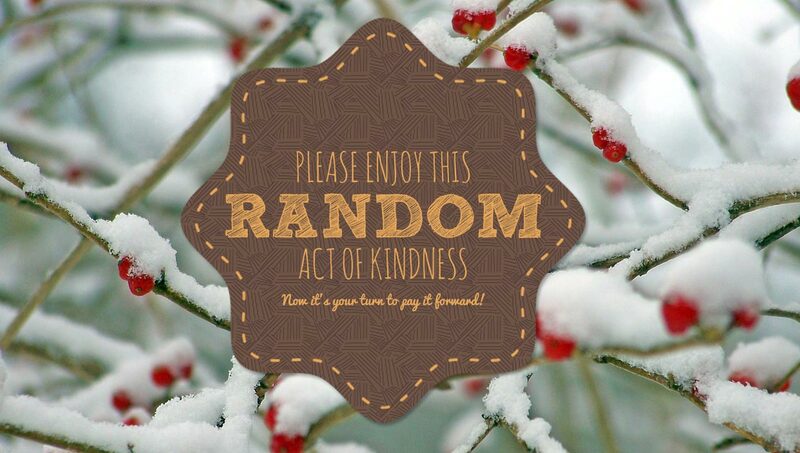 Every person who is gifted a random act of kindness will receive a little card, inviting them to do something to pay it forward. Whatever the task the Kindness Kiddos want to be there to experience the random act of kindness and take a photograph for their scrapbook of happy memories. Children who are old enough might want to write about their experiences in the scrapbook too. On Christmas Eve the Kindness Kiddos must say their goodbyes, with promises that they’ll be back to visit and do it all over again next Thanksgiving. Right the first thing we need to do is find some Kindness Kiddos to introduce to our children. 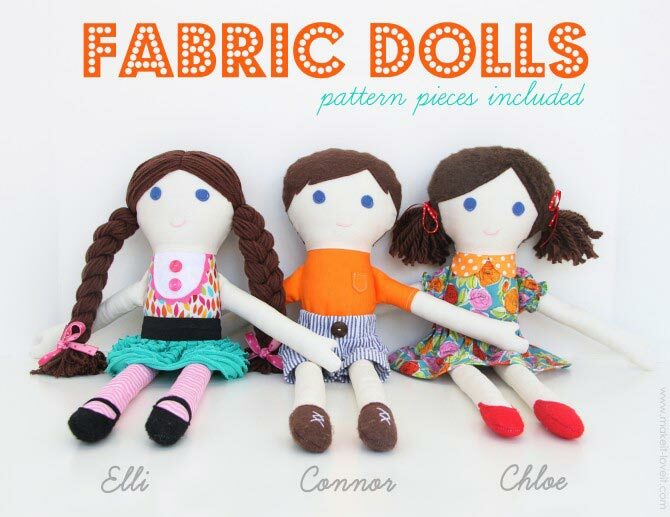 I really want to make our dolls myself and after spending hours scouring the Internet for just the right ones I’ve fallen head over heels in love with these fabric dolls that were dreamt up by Ashley over at Make It Love It. Not only is she giving the pattern away for free she also has very detailed pictorial instructions so they’re just perfect if (like me) you’ve not made softie dolls before. I’ve rounded up some of the kiddos’ baby clothes to use and cannot wait to start making our Kindness Kiddos! If you’re not very handy with a needle and thread, or you just don’t have time to make dolls this year then why not hop on over to Amazon.com and buy some cute fabric dolls instead. Myra is just adorable and if you need a little boy you can’t go wrong with this little sweetheart. Of course there’s nothing stopping you inviting a pair of Kindness Elves into your home, because not all elves are naughty! I’ve created some that you can use too, just click on the images below to download them. Or you can help your children make their own once they have met their Kindness Kiddos. Now we need to decide on the random acts of kindness we’ll do each day. Here’s some ideas to inspire you. And of course if you have some ideas of your own I’d love for you to share them in the comments. And now all that’s left is to introduce your children to their special visitors, and spend the month of December having fun with the Kindness Kiddos and learning all about goodwill and the joy of paying it forward. Follow our Christmas Gift Ideas board on Pinterest. Next PostNext These Witch Halloween Decorations Will Be the Talk of Your Party!